Public pension funds continue to demonstrate their bottomless appetite for credit and related products. However, the repeated setting of new records for credit allocations isn’t the most interesting thing about this trend. One analyst suggests all these new credit allocations could bring about the next financial crisis because they will be very difficult to unwind when people finally ask for their money back in a few years. Canaccord Genuity analyst Brian Reynolds has been following pensions’ record-breaking credit allocations for quite some time. In a note last week, he said pensions were more than 90% of the way to setting yet another new record high for credit allocations in March—only half of the way through the month. 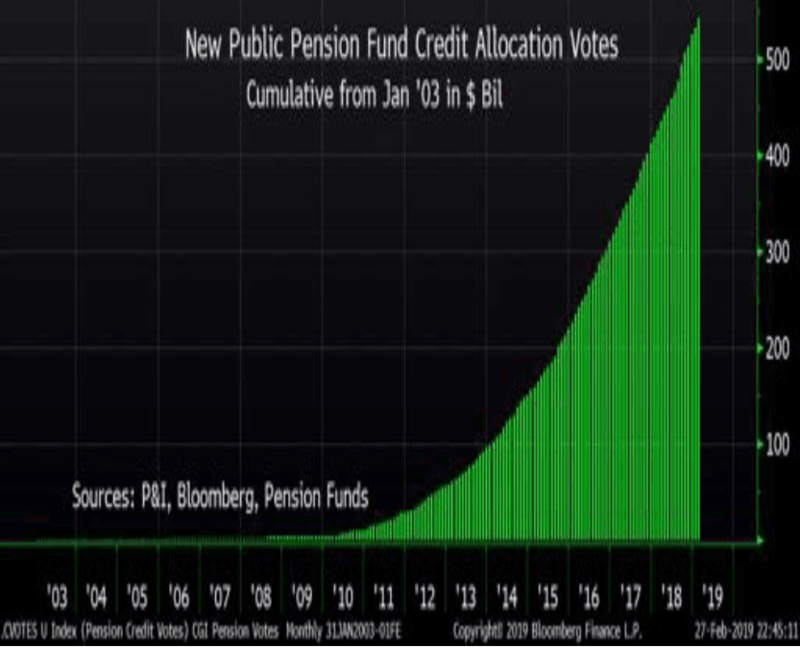 If pensions continue allocating to credit products at that same clip in the second half of the month, we could see a very significant jump for the new record. 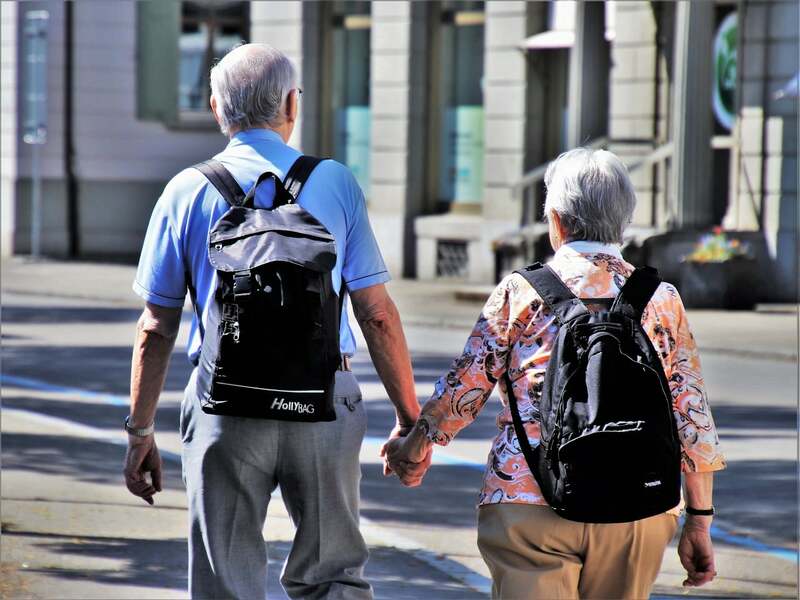 Among the pensions with new credit allocations earlier this month were the Pennsylvania Public School Employees' pension, the Texas Teachers' pension, and state pensions from Michigan, Massachusetts, Wisconsin, South Dakota, New Mexico, and Minnesota. Multiple other public pension funds also added to the growing pile of credit allocations this month, according to Reynolds. Given that public pension funds are now the dominant investors around the globe, and the fact that agencies are scrambling to raise taxes to catch up on massive unfunded liabilities, he expects the credit boom to continue at least a few more years. He also explained why he's taking a middle-of-the-road view on concerns about the pension-driven credit boom. He highlighted the two opposite views he believes are both myths. One is that the record-high debt levels will cause the next crisis "soon," while the other suggests that no crisis will ever happen because unlimited debt is possible. Reynolds noted that corporate credit has indeed hit a new high, but that has been true every year for the last 10 years. Thus, it doesn't necessarily indicate that the credit cycle is about to go bust any day now. He predicts the current credit cycle will grow for another three to five years. As a result, he believes concerns about an imminent disaster caused by record levels of debt are overblown, but that doesn't mean the markets are off the hook entirely. He also explained why he disagrees with the other extreme view—that of infinite debt. This other extreme view comes from the Modern Monetary Theory, and Reynolds believes it is just as wrong as the expectation of disaster any minute now. He explained that MMT proponents believe the credit boom can go on indefinitely with higher and higher debt levels because it has already gone on longer than most were expecting "without major economic consequences." In short, Reynolds does see an end to the current credit cycle, but he doesn't expect it any day now. "We have often detailed how modern credit cycles have ended: a yield curve inversion marks a two-year M&A surge, then there is a 'run' on the shadow banking system similar to how there was a run on the banking system in the 1920s) ignited by people wanting to redeem cash-like products that in fact have poor liquidity," he explained. It is this very issue he expects to cause the end of the current credit boom. He sees public pension funds leading the charge into disaster because they're among the largest investors in the world, and they're fueling the credit boom. In other words, when the market has finally had enough of financial engineering, things could essentially implode. "In the meantime, this credit cycle is intensifying," he emphasized. "Month after month, public pension trustees continue to take record inflows and allocate them to credit and related products." Reynolds also highlighted two main things about pensions' unfettered credit allocations. One is the sheer size of the allocations and the way the volume keeps growing. He said the fact that the market was already over 90% of the way to a new record less than halfway through March "bolsters our thought that this credit boom is likely going to persist and grow despite the record amount of debt outstanding." "The second is the complexity of the financial engineering that these pensions are entering into," he explained. "When people want their money back at the conclusion of the next M&A cycle, most likely in 3-5 years, the above products will be extremely difficult to unwind, likely prompting yet another financial crisis."